Ramin Talaie/Getty ImagesMicrosoft cofounder Bill Gates. Wall Street is cautiously optimistic about Microsoft’s $26 billion mega-buy of professional social network LinkedIn, and now Bill Gates is adding his support too. “I think it’s a great transaction. LinkedIn brings in a lot,” Gates told Bloomberg’s Erik Schatzker in an on-screen interview. The opportunity, Gates says, is to combine Microsoft’s productivity expertise with LinkedIn’s social networking know-how to become the center of people’s professional lives. “If we can make that as valuable as say the Facebook feed in the social world, that’s huge value creation, and that will happen over a period of years,” Gates says. Gates says that Microsoft is already an “expert in software and managing those audiences,” and can now use the LinkedIn news feed to deliver a professional feed on everything that’s happening inside and outside their company, tracking the skills they need to stay competitive. “I certainly think the value of the two companies combined is greater than the two by themselves but I love the idea that the market wants us to show that,” Gates says. 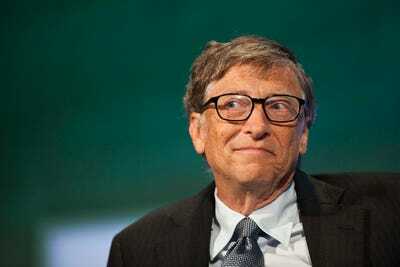 Gates was reportedly the voice of dissent that killed a proposed $8 billion Microsoft bid for hot chat startup Slack, on the grounds that Microsoft could build something better in-house with Skype. In that light, for Gates to throw his support behind Microsoft’s $26 billion LinkedIn deal, seen by some to be a too-steep premium, there might just be something for shareholders to celebrate here.